Microsoft's Surface Hub 2S could be the centerpiece of your next conference room. Little appears to have changed since the 2S was originally announced: There’s still a 4K camera to complement the sweeping sheet of glass upon which remote users can either appear in little windows, or in a full-sized approximation of their real-life selves. The screen itself is multi-touch enabled, and ships with a large, thick stylus that can be magnetically attached to the side of the screen. From a performance standpoint, the Surface Hub 2S offers 50 percent more graphics performance than the original Surface Hub. It’s also 40 percent lighter at 61.6 pounds, with a 60 percent thinner display. (It measures 29.2 x 43.2 x 3.0 inches, Microsoft says.) It’s powered by an undisclosed quad-core 8th-generation Intel Core chip, 8GB of RAM, a 128GB SSD, and a UHD Graphics 620 GPU, according to Microsoft’s specifications page. What’s interesting about the Surface Hub 2’s design is that it features a modular compute hub that can be removed, and, conceivably, upgraded. The Surface Hub 2S will eventually be replaced by the Surface Hub 2X “experience,” a compute hub with upgraded hardware that’s expected to show off an upgrade to Windows. Microsoft said last year that it expects the 2X to ship in 2020. 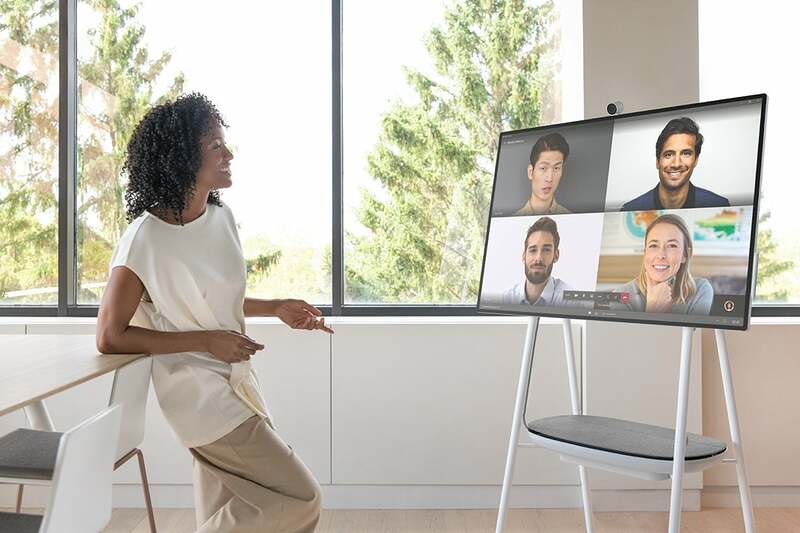 What this means to you: Microsoft smartly realizes that there is no one-size-fits-all approach to collaboration, so it’s providing separate sizing options and even a CPU-less display option for those companies that simply want to upgrade an existing solution. 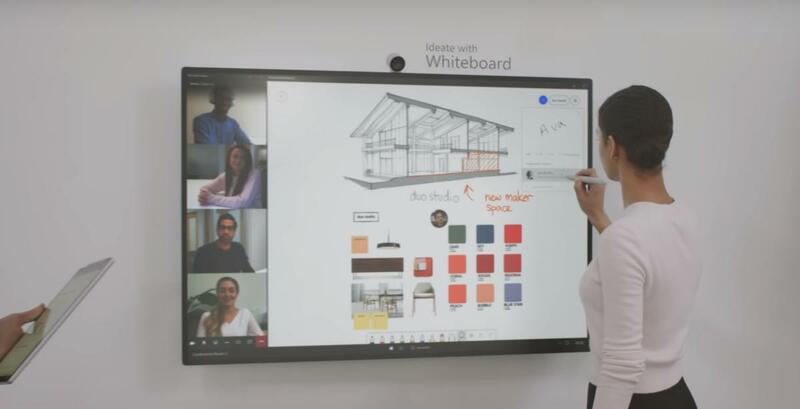 We still need to see what the future holds for the Surface Hub 2, though Microsoft is aggressively leveraging its other collaboration features to push the Surface Hub 2 into the workplace.